Manufacturer of a wide range of products which include mailing poly bags, grip seal bags, resealable poly bags with hanger and clear polythene packing bags. 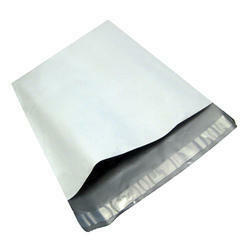 It is used for postal or courier transport, Mailing Poly Bags are light, waterproof and have an integral adhesive strip. Our stocked ranges cover the economy and ''Tuff'' mailers, mailorder and courier bags, tamper proof, bubble and even high impact metallic advertising mailers. When you’re looking for a fantastic bagging solution that offers a secure place that can be resealed then you need to look no further than the Grip Seal Bags we supply. It doesn’t matter what you’re using these products for, they can make an excellent option for food goods, but provide a particularly fantastic selection for things like nuts and bolts; small items that are stored together for security and to make them easy to find. Even lab samples and the tight, grip seal ensures that there is no spilling or leaking. 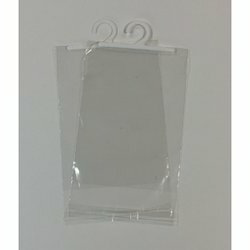 We are offering a qualitative array of Resealable Poly Bags With Hanger. The provided hanger bag is manufactured using superior quality raw material & advance machines keeping pace with industrial norms. Our offered hanger bag is known in the market for its optimum strength and durability. Clear Polythene Packing Bags are one of the most popular and economical forms of retail and industrial packaging. Transparent plastic bags not only allow the contents to be visible to the customer, they provide hygienic protection against dirt, dust, and moisture. 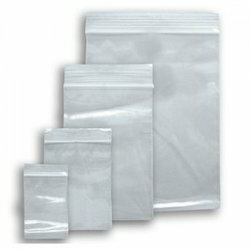 Clear polythene packing bags can be produced with certain additives, such as Ethyl Vinyl Acetate (EVA) for freezer use, UV Inhibitor or anti-static poly bags which are widely used in the electronics industry. Our clear plastic bags can be manufactured in a low or high slip. Low slip bags provide an easier grip, whereas high slip bags slide for ease of movement during the handling process. 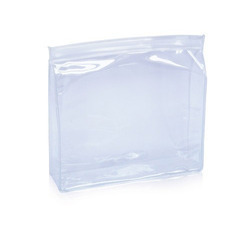 Our clear polythene packing bags can be provided with zipper, duct or plastic drawstring.